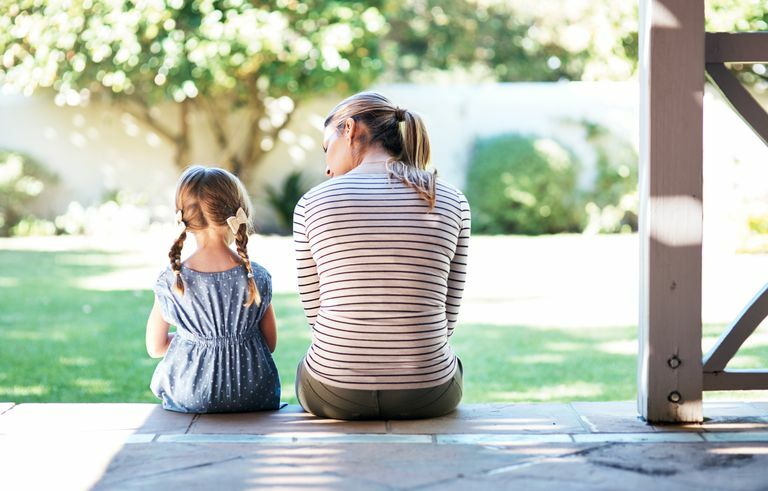 Disciplining children after a divorce raises many challenges. After all, divorce is stressful to everyone and it‘s normal for children to exhibit increased behavior problems when their parents part ways. Single parenting under the best of circumstances isn’t easy. Without anyone else to take over or back you up, disciplining children on your own is a lot of responsibility. Other issues, like custody battles, can make life after a divorce especially complicated. Re-evaluate your household rules after a divorce. Decide which rules you want to keep and which rules need to change. As a single parent, you might find you need to be stricter in some areas and more relaxed in others. For example, you might decide to be more consistent with bedtime but more relaxed about making sure bedrooms are cleaned every day. It all depends on how much you can realistically take on. Your rules don’t need to be exactly the same as the other parent’s rules. Kids adjust fairly well to different rules in different environments. Just like there are likely different rules at home compared to school, they can adapt to different rules at each parent’s house. Be prepared to hear things like, “But at Dad’s house we can stay up as late as we want,” or “Mom doesn’t make us eat all of our vegetables.” Respond with a gentle reminder that at your house, the rules are different. Often, custodial parents have more rules because they are dealing with things like homework, bedtime on school nights and getting ready for school in the mornings. Meanwhile, non-custodial parents usually get weekends and vacations which means they get to have less structure. This can make it difficult to try to settle on the same set of rules. It’s also likely that you and the other parent will have different parenting styles. So, create rules your own set of rules for your house. Be prepared for increased behavior problems, such as attention seeking behavior and regressive behavior. Also, keep an eye out for behaviors that might signal your child needs professional help in dealing with the divorce. Decide what you will use for positive and negative consequences. Be prepared for children to test the rules, so make sure you set limits with clear consequences. Often, after a divorce, children really want to see if you can handle their misbehavior on your own. If a behavior problem occurs at your house, the consequence should take place in your home. If your child misbehaves right before going to the other parent’s house, give him the consequence when he returns to your house. Occasionally parents do work out a deal where the other parent agrees to follow through on consequences. This would mean if a child loses his video game privileges for 24 hours right before going to the other parent’s house, the other parent would honor that consequence. However, many families aren’t able to do this. Sometimes parents avoid disciplining children because they feel bad after a divorce. However, stressed out kids need discipline more than ever. Provide plenty of positive attention and reassurance. Keep your discipline consistent so your child knows what to expect at your house. If your discipline is inconsistent it can be confusing to kids. If your children go back and forth between parents’ homes they’ll need to know exactly what to expect when they’re at your house. The best indicator of how children will recover from divorce is how their parents get along during and after the divorce. Hopefully, you can communicate with your ex-spouse about your children’s behaviors when necessary. For example, it might be helpful for your spouse to know if your child seems to be worried about something or if a new behavior problem has cropped up. Discussing how you are dealing with it can be helpful. Parents who work together as a team can have a lot of success in managing behavior problems after a divorce. Many behavior problems are dealt with best when everyone is aware of the problem and a behavior management plan has been developed. If you and your ex-spouse aren’t able to work together as a team for one reason or another, focus on what you can do to address behaviors in your home. Staying focused on what is within your control will have the best outcome for your children.